As the crafty coder explains, the secret feature can be activated by a simple edge-swipe. What’s particularly cool is that you can adjust the keyboard to fit either of your hands – all you have to do is pull up the feature from the side of your dominant hand. The one-handed keyboard also has designated cut, copy and paste controls that will conveniently show up on the side of your dominant hand. Given that the feature was added around the time of the iPhone 6 and 6 Plus release, MacRumors speculates that the feature was most likely designed to make it easier for users to type on the larger-sized 6 Plus model. Still, it remains a mystery why Apple decided to keep the feature dormant – or whether it will ever roll out to all users. The only disadvantage is that you can’t use the functionality on your iPhone just yet. 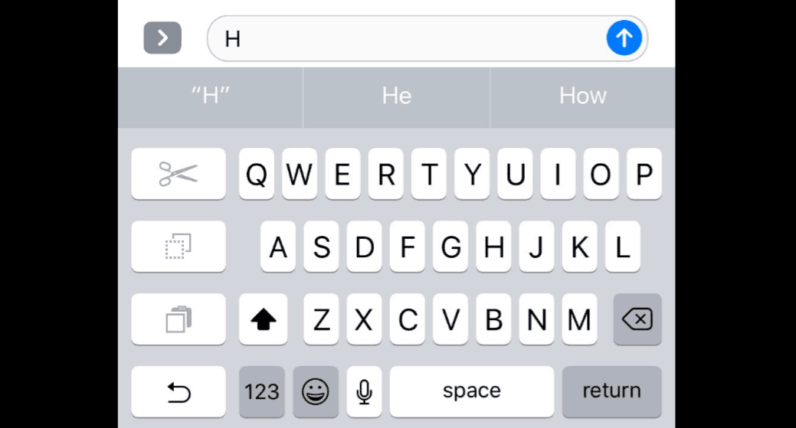 As Troughton-Smith says, activating the one-handed keyboard would require you to jailbreak your device’s operating system – and that’s not exactly ideal. But in case you’ve already hacked your iPhone. The resourceful developer has added some pointers on how to activate the feature here. Check out this video demo Troughton-Smith tweeted to see how the one-handed keyboard works.